This is our artwork templates guide page. Here you will find standard sized templates, which are designed to help you get the most from your artwork. All our templates are FREE to use and download. 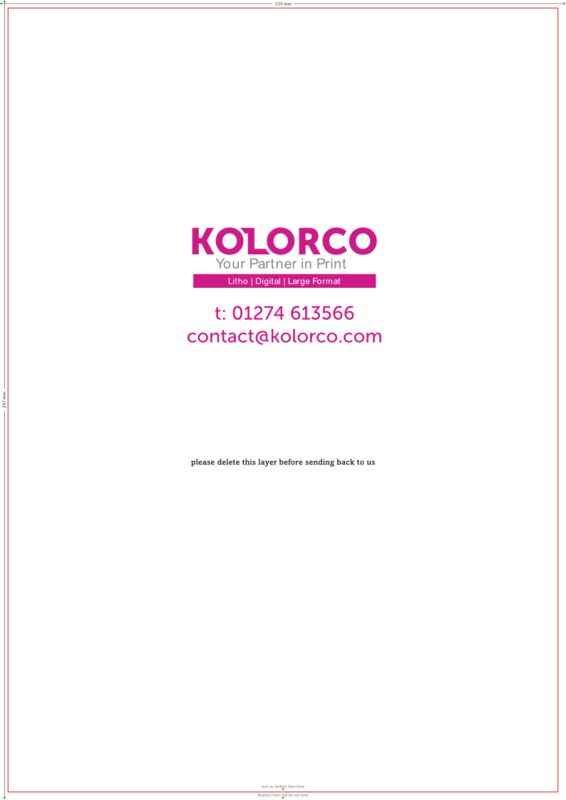 Need a Template that isn’t displayed here, or you need a bespoke size, please feel free to call us on 01274 613566 or email on info@kolorco.com , and we will be happy to create one for you. 55mm x 85mm. This is our standard and recommended size for the perfect business card. Fits neatly in your wallet and is the same size as a credit/debit card. Please choose from the templates below to download and use for your artwork. Our templates are in zip format for your security. 99mm x 210mm. These With Compliments slips can be used as a sort of informal cover letter to accompany an enclosure, such as to add a personal touch to a potential or current customer’s request for information or materials. Please choose from the templates below to download and use for your artwork. Our templates are in zip format for your security. 210mm x 297mm. 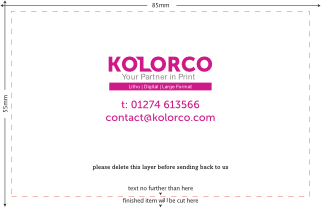 This is our standard and recommended size for an A4 Flyer or leaflet. Please choose from the templates below to download and use for your artwork. Our templates are in zip format for your security.